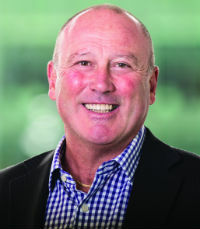 John Hackett is a trademark strategist with experience managing trademark portfolios and advising on branding strategies for a wide range of clients, including Les Mills International, Manuka Health Company, Time Warner, Lacoste and L’Oréal. Hackett was named 2016 international trademark lawyer of the year by Who’s Who Legal. Over the past three years, Hackett has played a lead role in helping AJ Park develop its business in Australia and the Greater China region.